The Destiny Rigid Riser shower kit from Ultra is part of our contemporary collection of bathroom products. 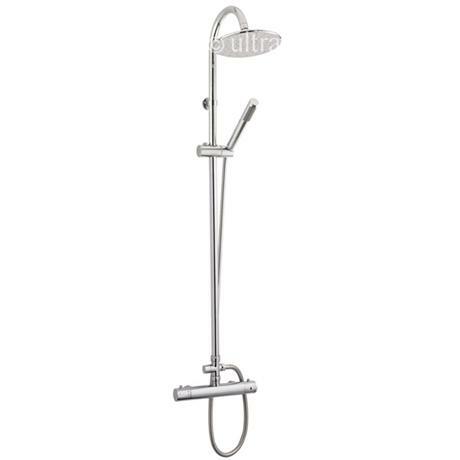 The Destiny features a fixed shower head on a curved arm and an additional slimline pencil design handset. This Destiny kit contains a thermostatic bar valve with a top outlet to connect to the rigid riser kit.